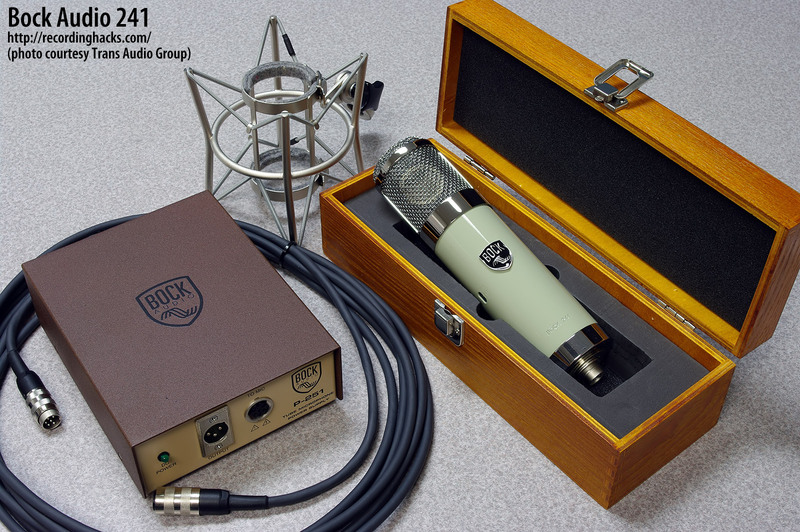 The Bock Audio 241 is a revision of the Bock 151. Both are large-diaphragm, fixed-Cardioid tube mics. 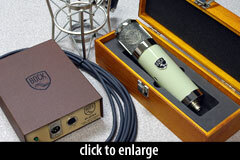 The 241 uses a German-made CK-12-style capsule, modeled after the AKG capsule from the vintage C12 and Ela M 251. Bock Audio uses the same capsule in the 251 (although the 251 is a multipattern microphone). The transformer is hand-wound to Bock Audio specifications. The BOCK 151 offers a “brite/normal” switch which allows for extended high frequency response or a softer, more vintage high frequency response, delivering two sounds in one mic. All the internal components of the 241, and the entire amplifier circuit, are identical to the Bock 151. The primary difference between these two models is the body and headbasket design. Nonetheless, this is not simply a cosmetic change, because the headbasket imparts its own EQ curve to the microphone. Because the 241 design is more similar to the Bock 251 / Ela M 251 than was the 151, the new mic’s sonic signature is even closer to the 251 than before. The body and grille of the 241 are imported from China. The mic ships with its power supply and cable, an elastic shockmount, and a wooden storage case.